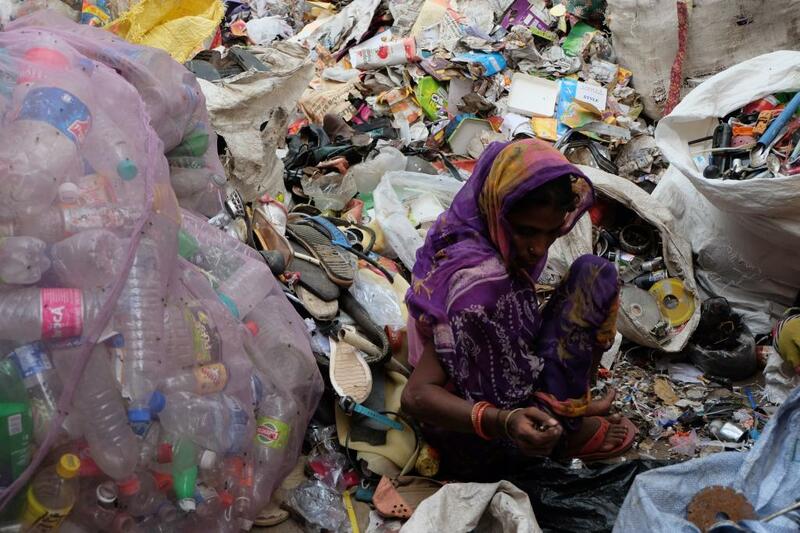 India has a vibrant recycling industry with 56 per cent of its recyclable waste being recovered. As per a study conducted by Columbia University in 2012, India also has one of the highest recycling rates for plastic PET bottles, at 70 per cent. This dynamic and surprisingly efficient system of waste management stands solid on the shoulders of ragpickers and kabadiwalas who belong informal sector. 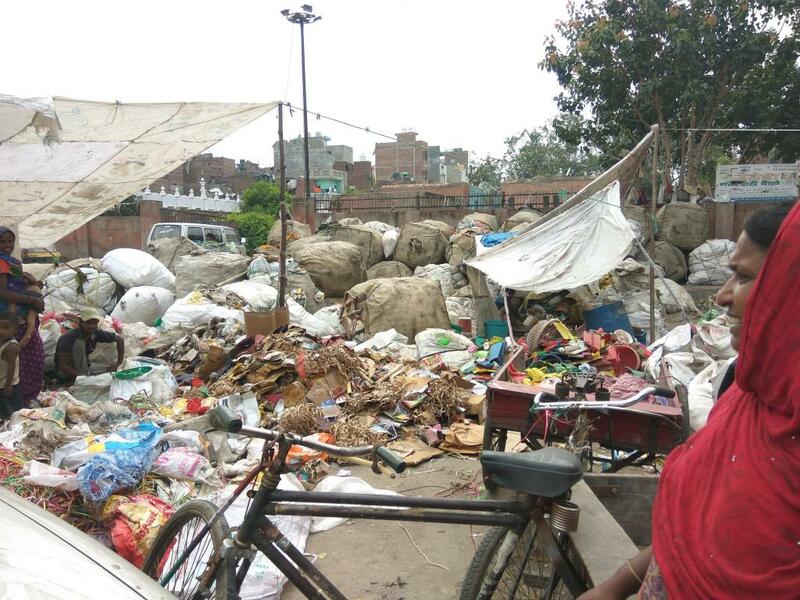 Despite their crucial service of keeping urban waste management in place, India’s ragpickers continue to struggle for survival in dire conditions—exposure to harmful substances, poor wages and lack of basic civic amenities. Sheikh Abdul, a ragpicker from New Seemapuri in east Delhi, shares, “Ragpicking as a profession comes with its own set of utterly inhuman challenges.” Abdul is a part of a community of ragpickers who live in the New Seemapuri slum, making up about 800 of the 1,700-odd households of the locality. They struggle for basic sanitation, water supply and power supply as the neighborhood is an unauthorised settlement disconnected from the city’s basic services. The collection and segregation of waste is carried out by the community together. Once the waste has been collected from households and colonies, it is brought to one of the segregation centres in Seemapuri. “My entire family takes part in the collection, segregation and selling of scrap materials, a profession that has been endured for many generations in my family,” Abdul adds. Many in the community take to drugs in order to cope with the living conditions and the heinously difficult task of sorting through the mixed waste. After segregation, any recyclable item is sold to the kabadiwala while the wet waste is sold as cattle feed at Rs 3 per kilogram. 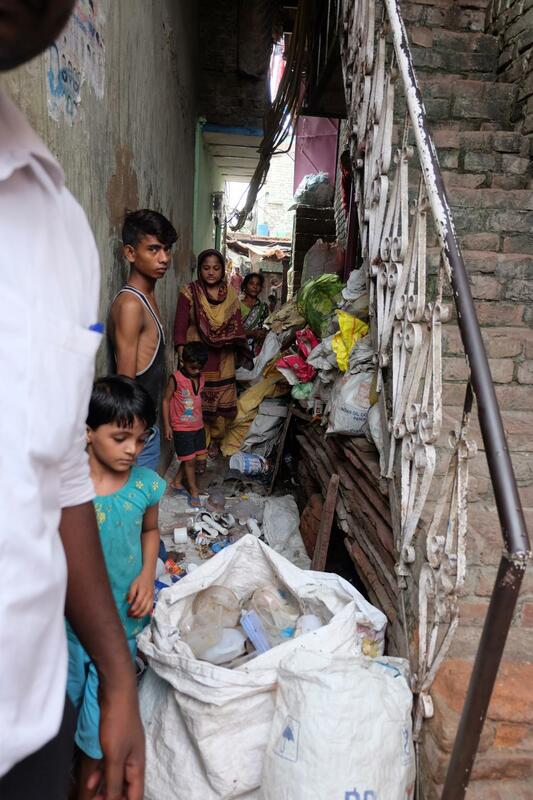 Marginalistation of the community and systemic corruption worsens their prospects, as another ragpicker Archana explains, “One of the major problems we are facing in our work nowadays is the underlying bribing and outsourcing arrangements that have formed in the neighbourhood. Having access to waste has become a challenge, as MCD has started collecting waste from residential societies around Seemapuri. So now, we have to pay the MCD officials to buy waste from them in order to collect valuable scraps, and even when we go to collect from the dhalaos (open waste bins), the MCD officials on the ground don’t let go without their commission. To add to this, a heavy Goods and Services Tax (GST) was imposed on scrap, which slashed the prices these items fetch for ragpickers by half. The most profitable recycling item – PET bottles -- came down from Rs 35 to Rs 23. Other recyclables like glass bottles, old slippers, tetra packs, egg packs made of cardboards, are now being thrown off as it has become unprofitable to recycle them. Although the GST rates have been revised, the effects will take time to reflect on ground. As a cumulative result of such changes, ragpickers' incomes have reduced from Rs 400-500 to a meagre Rs 100-200 per day. Their source of income is also shrinking because many houses give their waste to MCD and the recyclables separately to the kabadiwalas. This, along with limited social mobility, keeps the ragpickers bound in a vicious cycle. “We are ill-treated and marginalised by every tier of society. Households in the residential areas do not want to employ us as we are considered filthy,” adds Archana.